It can be a real pain to install bear jaw style latches. Wouldnt it be nice if you had plates that already had the correct holes cut out so you could just weld or glass them in? Weve got you covered with these painted steel plates. Will not work with Slim-Line Bear Jaw door latch. 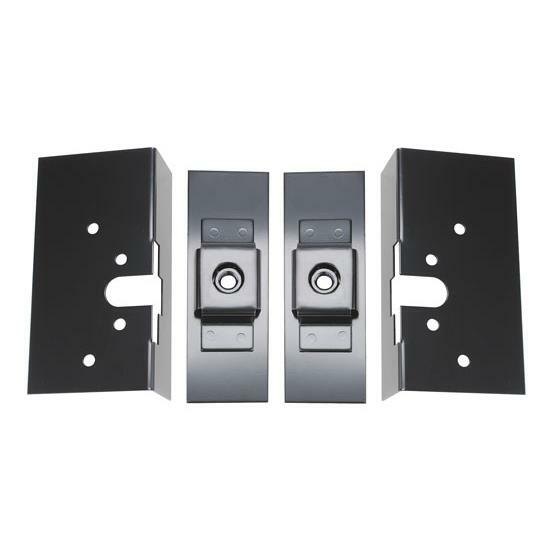 Includes 2 latch mount plates (6" x 3" x 1.75") and 2 cage nut assemblies (6" x 2"). Striker pins are not included.